Showing results for tags 'uss liberty'. 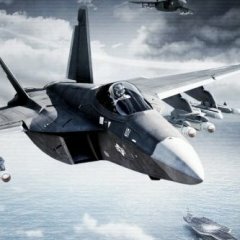 COOP 30 Carrier Ops Day 3 https://steamcommunity.com/sharedfiles/filedetails/?id=1622228574 - Overview - CSAT have moved into the region.Its our job to clear them out.Ground forces with integrated Air support to Air-Assault into five Objective Areas. - Factions - - U.S Vs CSAT. - Features - - Dynamic loadouts for aircraft. - Custom Base / Group Respawn. - Recruit Ai Team Members. - Group Leaders In command of AI will use Group Respawn untill no AI are left then respawn reverts to Base. - Increase or Decrease your viewdistance and Terrain Detail During Mission. - Vehicles Respawn. - Sling loading. - Customisable Weather and Time of day Params at start of mission. - Assets Available - - CH-67 Huron. - UCAV Sentinel. - F/A-181 Blackwasp II. - Hunter MRAP. - Growler light vehicle. - Quadbike. - Intel - - Estimated Enemy Strength is Strong.Heavy machine gun emplacements and Infantry units patrolling the areas. - Objectives - - 5 Objective Area's to Neutralize. - Credits - - Mission By ANZACSAS Steve. - Team Leader Group Respawn script (1.0) by Mongoose_84 for Arma 1,developed into Group respawn scripts by theOden Arma 2, Edited for Arma3 by ANZACSAS Steve with help from GEORGE FLOROS GR. - Recruit AI Scripts/UI by Bon_Inf*Redux -- by Moser. - GOM_fnc_aircraftLoadout V1.341 made by Grumpy Old Man 17-5-20172. - Dynamic Gfx settings scripts by Bryan "Tonic" Boardwine. - Crate filler v2.12 script by KC Grimes. All feedback welcome. :) Have Fun. Steve. Weirdly, Zeus cannot spawn the USS Liberty static ship added on the Encore update, it's not even listed on the Static Ships section, only the HMS Proteus shows up. This has been an issue ever since the Encore update hit. Could we get a fix or a reason as to why we cannot spawn it? I'm not even sure if the devs are aware of this issue. Get helicopter off Liberty hangar to helipad? Is it somehow possible to "hook" the helicopter inside the hangar of the USS Liberty and get it thrown out to the Libertys helipad and vice versa? Ingame I´ve found a addaction "hook", but it´s not working? I am using a Ghosthawk and hangar doors are opened. If I´m the driver of the ghosthawk I´ve got the option to hook in action menu, but without any effect. Is there a code known, how to get it hooked from beginning or how do I get it working?